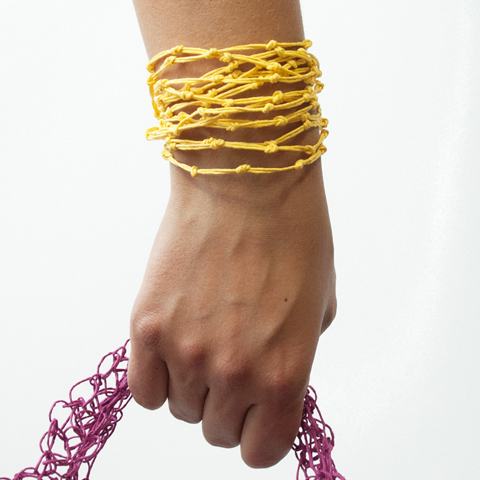 In our last blog entry Linda talked about the design process behind our new KNOT jewelry line. Today we share pictures of the new pieces with you (you might have seen some of them on PaperPhine’s Facebook page before). 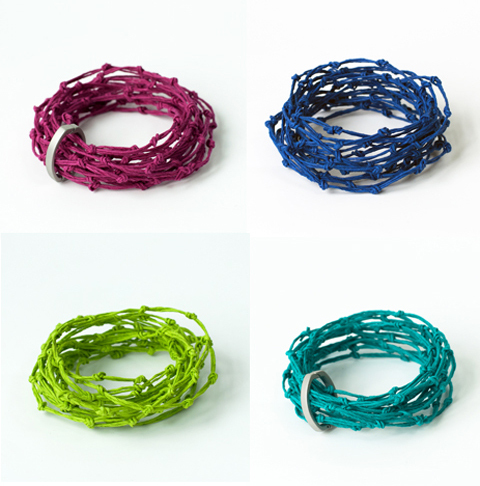 It took us a long time to find a perfect length so you can wear your KNOT piece both as a bracelet and as a necklace – and not only in one way but short, long, with a huge knot in front and with or without a latch. More about these possibilities later this week.